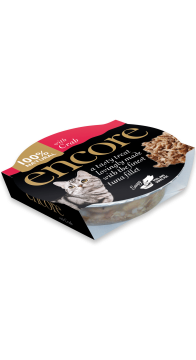 Your cat will adore this tasty treat in a unique, see through dish – simply peel and serve, no need for a bowl. 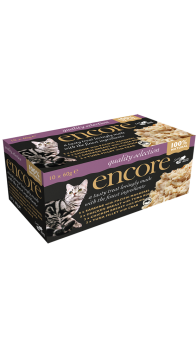 Your cat deserves the very best natural nutrition. 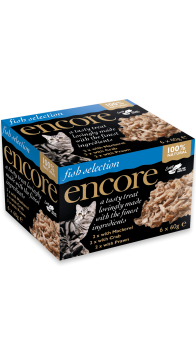 So treat them to Encore pots – full of fish fillets which can be a great source of omega oils, or succulent lean chicken only ever from the breast.